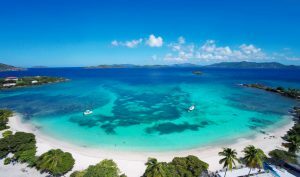 The beaches of the U.S. Virgin Islands are always mentioned among the best beaches in the Caribbean. And no matter which of our hotels or resorts you select, you'll never be far from all of the fun at the beach! 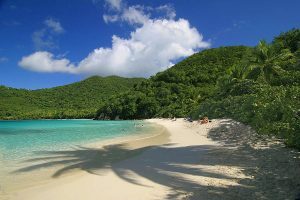 On St. Thomas, there are more than 40 beaches to choose from! 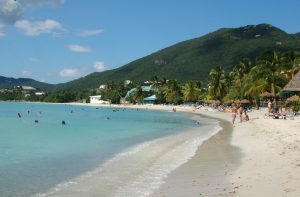 Magens Bay is consistently recognized as one of the best beaches in the Caribbean. You'll also want to explore many of our other dazzling beaches including Lindberg Bay, Brewers Bay, Coki Beach, and Sapphire Beach. 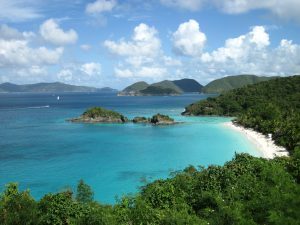 Over on St. John, Trunk Bay is a must-see for anyone, but can be crowded. 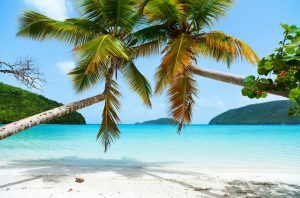 If you want a more private beach day, you will want to check out beaches like Cinnamon Bay, Great Maho Bay, Hawksnest Bay Beach or Salt Pond. But don't limit yourself to these beaches. 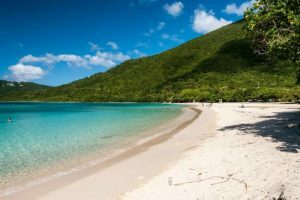 Remember that most of St. John lies within the Virgin Islands National Park, so you can explore countless pristine beaches. 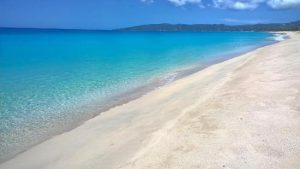 St. Croix has one of the longest beaches in the Caribbean at Sandy Beach, which is also a nesting area for sea turtles, so it’s only open on weekends and closed during hatching season for the Leatherback Turtles. 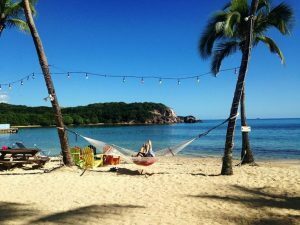 But don't worry, there are over 30 other beaches on St. Croix to enjoy all year long! Sprat Hall Beach, Cramer's Park Beach and Issac's Bay are local favorites. 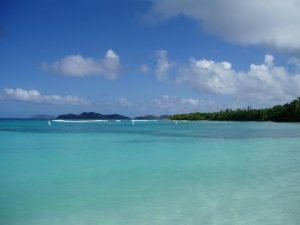 And don't miss beaches on Buck Island - the world's only underwater National Monument! The USVI Hotel and Tourism Association along with the VI Conservation Society are also pleased to announce our participation with Blue Flag, an exclusive eco-label promoting sustainable tourism and awarded to beaches and marinas worldwide who meet established criteria including environmental education and information, water quality, environmental management, and safety and services. It started with 10 participating countries in 1987 and today, the Blue Flag Program continues to grow and has been implemented in 48 countries at more 3850 beaches and marinas across Europe, South Africa, Morocco, Tunisia, New Zealand, Brazil, Canada and the Caribbean. 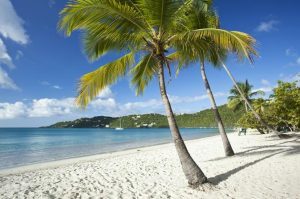 The five beaches in the territory who can claim this coveted certification are: Emerald Beach and Great Bay on St. Thomas, Trunk Bay and Cinnamon Bay on St. John and Pelican Cove on St. Croix. Two marinas also received certification this year including Crown Bay Marina on St. Thomas and Green Cay Marina on St. Croix. Located on the south shore of the island at the Bolongo Beach Resort, this beach offers a variety of watersports and beach toy rentals. There is a restaurant and bar right on beach. Located on Coki Point right before Coral World Ocean Park, this white sand beach with crystal clear water offers excellent snorkeling and diving. Beachside restaurants serve picnic fare including burgers, sandwiches and some local dishes. There is a dive shop, jet ski rental and several vendors renting snorkel gear, beach chairs and floats. 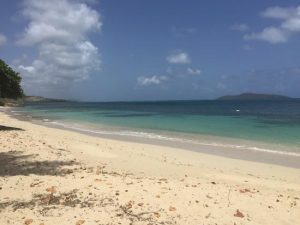 Located at the Frenchman’s Reef & Morning Star Marriott Resort, this beach offers a restaurant and bar, watersports rentals and a scenic view of the cruise ships coming in and out of the harbor. 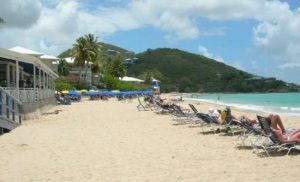 One of St. John’s most convenient beaches, Hawksnest Beach offers picnic tables and barbecue grills. There is also plenty of parking. A great snorkeling reef starts close to shore. 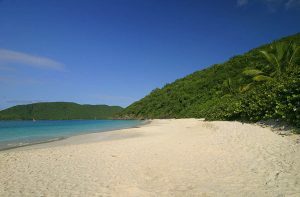 Maho Bay is great for children. The water is shallow and protected. 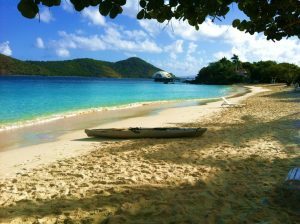 If you take a full-day sail to St. John, you may visit Maho Bay. Look carefully in the sand while snorkeling; you might see a stingray, just look for the outline in the sand. 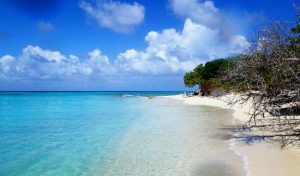 Located 7 miles East of Christiansted and reached by authorized National Park concessionaires.Â See the first designated underwater National Park, whose primary designation was to protect a coral reef system. Two beaches, two picnic areas. Great snorkeling, shade, hiking trail, limited facilities.